A new article discusses the importance of consistently creating high quality content beyond just a standard blog. Many marketers fall into the trap of placing a large emphasis on a blog while leaving the various product pages available across their web domain untouched, warts and all. 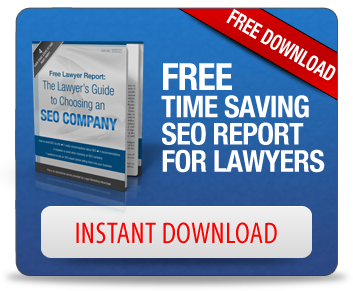 Although the report is ostensibly geared toward websites that are primarily in the e-commerce arena, we’ll show you how to gear these tips toward law firm marketing. The first tip tells marketers that they need to put time and effort into creating unique content across every webpage. Not doing this is a mistake that, frankly, a lot of law firms make. A firm might be licensed to practice in a given state, and so the person responsible for putting together the firm’s website will create a different page for every big city within that state. Unfortunately, they’ll then just copy and paste the same copy from one page to the next, only replacing the city’s name on each new page. Don’t fall into that trap: for every city or practice area you create a page for, provide unique copy that isn’t mimicked on another page. Bring in local flavor and you’ll show your potential client that he or she has come to the site of a firm that has taken the time to research their specific legal needs. This extends to more types of media than just the written word. You don’t have to use the same stock image of a man in a full body cast across every personal injury accident page. Change things up a bit. Use a photo of a driver texting behind the wheel on your auto accident page, or a pill bottle for the page discussing recalled drugs. Take a camera out, and snap a few photos of landmarks in the cities you represent. Again, clients will see that and be drawn to your firm. You might also want to create unique videos for each new page if you can do so in a way that makes sense. Think about how to better implement user reviews. In addition to having such reviews on your main page, you might consider placing some reviews on pages that relate to the case that person reviewing your firm was involved in. To get more reviews, all it takes is a quick email or phone call to a client asking them to fill out a form on your site. Potential clients will then see these and be more willing to seek your assistance. Also be sure that every page has links to content related to what the user is currently looking at. If they’re on the basic personal injury page for a given city, they might want links to more specific areas of personal injury. Give them this option, and also link to any relevant write-ups that might be found elsewhere on the website. Finally, FAQ pages are a valuable resource for any site. Think about common questions you’ve received from clients, and do a write up about those questions. You can have an overall page and then tailor each additional FAQ to a different area of interest. Expand your focus on content and you’ll expand your client base in no time.